NASDCTEc is excited to offer our Fall Meeting based on the theme Leading to Transform: Taking Us to Where We Should Be. CTE State Directors have asked for more professional development, and this meeting will provide engaging activities geared to enrich and strengthen leadership skills ofÂ attendees. The Fall Meeting offers great opportunities for networking with colleagues and partners in the economic development, workforce development and education improvement communities. Full details are at www.careertech.org. Dates of meeting: October 25â€”October 27, 2010. The meeting will begin at 6 p.m. Monday, October 25 with an opening dinner session and meeting. The meeting will end at 1 p.m. Wednesday, October 27, after the closing luncheon. Online registration is open now. Hotel accommodations: room rates are $120 per night plus applicable taxes. Please make your room reservations two ways: at the special State Directors reservations site; or you can call 866-225-0511 and ask for the â€˜State Directors Rateâ€™. 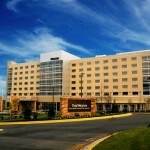 Please note that the special priced group room reservation deadline is October 8, 2010. There are limited rooms available pre-and post-meeting. We hope to see you there! This entry was posted on Friday, July 30th, 2010 at 11:11 am	and is filed under Advance CTE Announcements, Meetings and Events. You can follow any responses to this entry through the RSS 2.0 feed. Both comments and pings are currently closed.